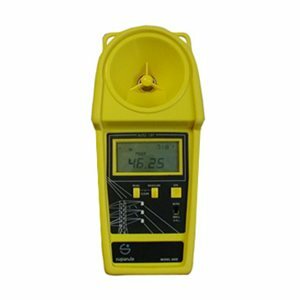 The CHM Series of Cable Height Meters utilize ultrasonic sound to determine the height of up to six overhead cables and wires. The instruments are designed to address specific measuring requirements on cables up to 75 feet (23 m). The CHM600 (C/N 659600) and CHM600E (C/N 659600E) are designed primarily for power cable applications, while the CHM2000 is designed for telecommunication applications.